Corporate executives flat-out hate being unprepared. Nothing sends shivers down the spine of a CEO like facing mission-critical deadlines and objectives without having the plan down pat. In fact, at your level, a lack of preparation that results in poor execution will often earn you a one-way pink ticket out the door. Without regular and proper evaluation of your business from all angles, it’s impossible to be prepared for competitive forces, and for the commitment to continuous improvement that is critical in today’s business world. A SWOT analysis can and should be more than a go-through-the-motions exercise – in fact, when executed properly, the fruit of a well-executed SWOT session can offer a clear and sober view of the state of your business today. 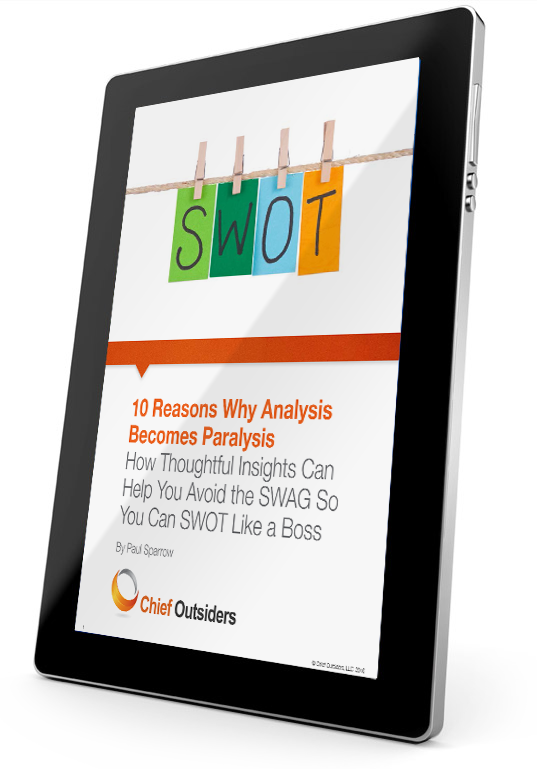 Download this eBook now, and learn the top 10 pitfalls that ensnare the unprepared – and how you can counteract them for SWOT success.